Only 17,511 Miles! Scores 33 Highway MPG and 26 City MPG! 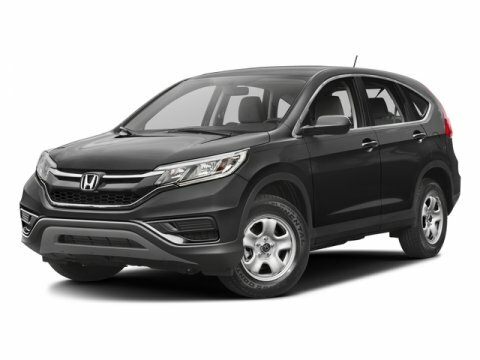 This Honda CR-V delivers a Regular Unleaded I-4 2.4 L/144 engine powering this Variable transmission. Wheels: 16" Styled Steel, Valet Function, Urethane Gear Shift Knob. *This Honda CR-V Comes Equipped with These Options *Trip computer, Transmission: Continuously Variable w/Sport Mode, Tires: P215/70R16 100S All-Season, Tailgate/Rear Door Lock Included w/Power Door Locks, Systems Monitor, Strut Front Suspension w/Coil Springs, Steel Spare Wheel, Sliding Front Center Armrest and Rear Center Armrest, Single Stainless Steel Exhaust, Side Impact Beams. * Visit Us Today *Stop by Bleecker Buick GMC located at 926 E 4Th Ave, Red Springs, NC 28377 for a quick visit and a great vehicle!